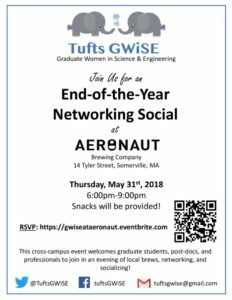 Tufts Graduate Women in Science and Engineering (GWiSE) is hosting a night of networking and socializing at Aeronaut Brewery in Somerville! Join us in the Food Hub space and enjoy snacks and local brews, hang out with some awesome women in STEM, and find out what GWiSE has been up to this year. All are welcome! We are co-sponsoring an event on reproducibility and publications with LI-COR. Mark your calendars! Due to the reproducibility crisis, guidelines for publishing experimental data, including those from Western blotting experiments, are becoming more rigid in scientific journals. In this seminar, we will address the sources of variability in Western blot data acquisition and analysis and explore how LI-COR’s technology minimizes variability and simplifies data analysis in Western blots, allowing for more accurate, reproducible data. We will also discuss new journal guidelines for publishing Western blot data and tools that can help researchers meet these new standards. 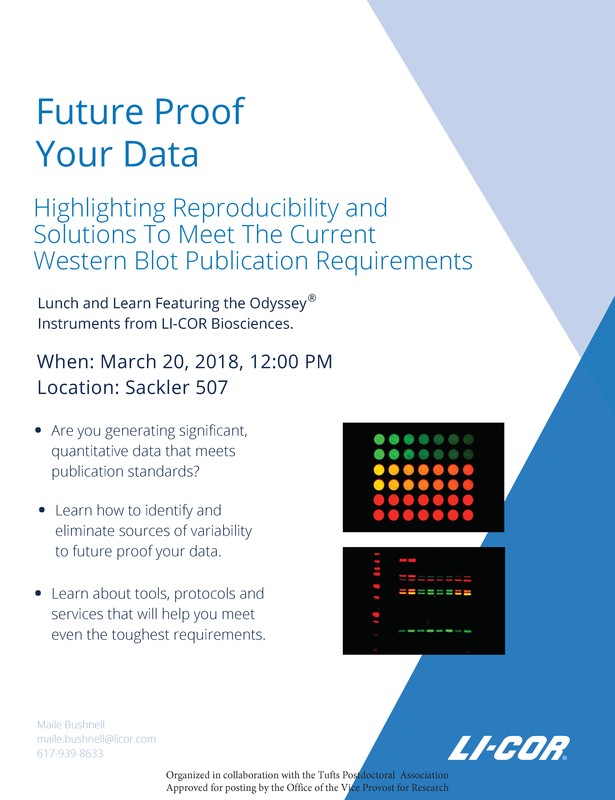 From this seminar, researchers will learn the best practices for acquisition and analysis of Western blot data and which tools can help them obtain robust and reproducible data from their Western blotting experiments. This entry was posted in Academia, Boston, Events, Industry, Medford, Postdoc Seminar. We received this event invitation for those looking to pursue industry positions in the future. We recommend registering for this free event in advance! I’m delighted to let you know that Science Careers has partnered with Harvard University to produce a unique Science Career Fair open to all on March 14, 2018. I would be grateful if you could help to advertise this event widely! For more details and to register, visit sciencemag.org/careers/jobfair. 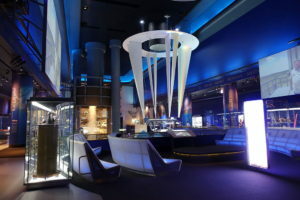 This entry was posted in AltAc, Boston, Career Development, Events, Fun, Industry, Interview, Networking. We received this invitation to join a workshop focused on academic ventures. If you’re interested, apply before May 1. 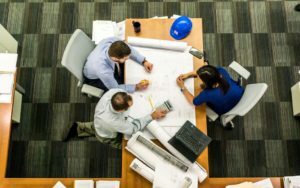 We invite you to participate in the New England Future Faculty Workshop for Underrepresented Groups in STEM Fields (NE-FFW) on the Northeastern University campus in Boston, Massachusetts on July 10, 2018. The NE-FFW is designed specifically for underrepresented minorities and women in STEM fields who are late-stage PhD students and postdoctoral scholars and interested in an academic career. Apply online by May 1, 2018. Please share this with colleagues. This unique opportunity is one you won’t want to miss. We hope to meet you in Boston in July! This entry was posted in Academia, Career Development, Cover Letter, Events, Faculty, Interview, Mentoring, Networking, Resume, Tenure Track.